• With 12" x 18" magnetic car signs, you can advertise your business on the go. With a magnet, you can take the advertisement off quickly and easily, making it the perfect option for a small business or any company that needs flexibility. • Never worry about the weather ruining the magnet. Our magnets are durable, flexible, weather resistant, and ultimately able to be repositioned. These magnets will stay put no matter what the weather conditions are. 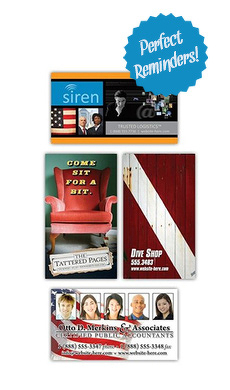 • Personalize your magnet for your business needs. From contact information to graphics and more, our magnets are made with a revolutionary four-color process that will help your business stand out from the crowd.